"Ann was a special lady to me..she will be greatly missed...."
"God be with you both, thoughts and Prayers with you. Vicky..."
"Lichelle & Lori: May God,s loving presence comfort you,..."
"Ann was one of those rare people who embodied competence..."
"Ann was an exceptional person and made a huge difference in..."
Funeral services for Anna "Ann" Lee Dillehay, 79, Lawrence, Kansas, will be held at 10:00 AM, Saturday, April 6, 2019, at the First United Methodist Church in Lawrence, Kansas. Burial will follow at Oak Hill Cemetery. 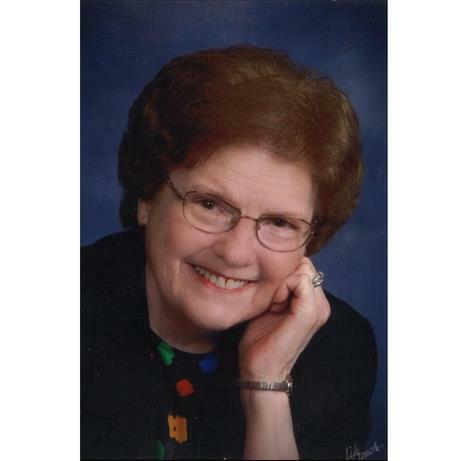 Ann passed away peacefully surrounded by her loving daughters on Tuesday, April 2, 2019, at Pioneer Ridge Assisted Living. Ann was born July 12, 1939, in Bennington, Oklahoma, the daughter of Harvey and Anna Ruth (LeFlore) Snodgrass. She received her Bachelor of Science Degree from Southeastern State University, Durant, Oklahoma, her Master's Degree from Oklahoma State University, Stillwater, Oklahoma, and an Education Specialist Degree from Emporia State University, Emporia, Kansas. She also received some of her graduate work from the University of Kansas, Lawrence, Kansas. She taught algebra for many years moving from Tulsa Public Schools to Haskell Indian Nations University. Then, she taught at the Lawrence Adult Education Center for ABE and GED students in Lawrence, Kansas. She was also an adjunct professor in math for Baker University. (Stayed home with her children for many years.) She loved teaching math and would have taught math until her death if she had been able. She even loved to write a math equation for her return address! She was a member of the First United Methodist Church, was a Stephen Minister, and a member of "Just Us" United Methodist Women's Group. She married Dennis Ray Dillehay on July 29, 1967, in Lawrence, Kansas. He preceded her in death on February 19, 2001. Survivors include her two daughters, Lichelle (Brian) Dillehay-Fuchs and Lori Dillehay; sisters, Patsy Johnson, Louisiana, Joan "Sissy" Lane, Oklahoma, Mary Neibarger, Arizona; sister-in-law, JoAnn Snodgrass, Texas; two grand dogs, Kingslee and Cedee; lots of nieces and nephews. She was also preceded in death by her brother, G.W. Snodgrass, Texas; and two sisters, Lynelle Snodgrass and Linda "Suzie" Hamilton, Oklahoma. Memorial contributions may be made in her name to the Lawrence Adult Education Center – Lawrence Public Schools (USD #497) – GED Scholarship Testing Fees or to the First United Methodist Church, Lawrence, Kansas, and may be sent in care of Warren-McElwain Mortuary, 120 W. 13th Street, Lawrence, Kansas 66044. The family will greet friends from 6:00 - 8:00 PM, Friday, April 5, 2019, at Warren-McElwain Mortuary in Lawrence, Kansas. The family wishes to thank Pioneer Ridge Assisted Living Staff for all their care while she was living there. The family also wishes to thank the Great Lakes Caring Hospice staff.